Along the way, Jeff has created four companies, backed by $50 million in venture capital. He’s been featured by Inc., Fortune, Forbes, The Wall Street Journal, CNBC, Business Insider, Bloomberg, and now, Influence Digest. Influence Digest: Can you give us a little background on your early life? What were your main interests growing up? Prof. Jeff Hyman: I grew up for the most part in Tampa Bay, Florida. I’m originally from New York but we moved to Tampa when I was young, so I would consider that my hometown. Growing up, I was a big nerd in two respects. Firstly, I played the oboe classical orchestra, which is not a great way to meet others *laughs*. I also started my first company when I was 13. I got a Radio Shack computer for my bar mitzvah and started three little companies before I went to college. I’ve always had an entrepreneurial bent. My very first one was a mailing list company, which was back when people would hand address envelopes even for small mailing lists. So, we would computerize their mailing list, maintain it, update it, scrub it and produce mailings for them. This was back before small retailers didn’t have their own computers. They would spend their weekends hand addressing envelopes, so we took that over for them. When you’re thirteen and make a few grand, that’s pretty successful. I hired my sister and a few other people. It was a lot of fun. I think it sparked my interest in technology, but also businesses. Later on, I went to undergrad at the Wharton School of the University of Pennsylvania and then studied my MBA at the Kellogg School, which is where I teach 25 years later. 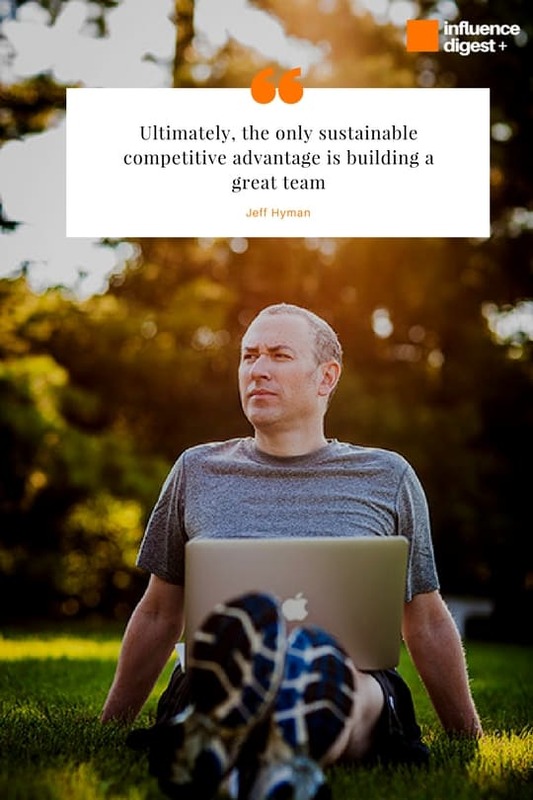 Prof. Jeff Hyman: It’s a very clear ten-step playbook for finding the winners and igniting your business. It’s based on the ten mistakes I’ve seen companies make over and over again in my 25 years of recruiting. So, the book diagnoses these issues and tells what you should do to effectively recruit rockstar talent. Influence Digest: If you could get your book in the hands of one person, who would it be and why? Prof. Jeff Hyman: These days, it would be Donald Trump. I think it’s so analogous to most companies – even a five-person startup or a 25-person consulting firm. If you’re not recruiting great talent, assessing that talent and building a great place for them to do great work, and therefore they leave, it’s just hard to get sh*t done. I think he (Donald Trump) will benefit from the book, but don’t think he’ll be reading it anytime soon. Influence Digest: What are you trying to achieve with this book? Prof. Jeff Hyman: I’m trying to debunk a few very big misunderstandings. First myth: recruiting great people is not just about paying the most dollars. Rockstars, which I define as people in the top 5 percent of a category, are game changers. These folks are 2 or 5 or 10 times more productive and effective than others. Yet, they don’t cost two or 5 or 10 times more. They may cost 10 or 20 percent more, but they’re actually an enormous value. I usually say the expression, “hire 5 rockstars, pay them like 8, and you get the results of 10”. Second myth: is that they all go to Apple, Facebook or Google (and many of them do). But, there’s no reason you can’t attract rockstars to your company if you’re very clear on creating an environment that lets them do their best work and is filled with opportunity and a career path. Ironically, rockstars are focused, even more so than compensation, on the challenge. That’s the type of environment they want to work in, and if you can provide that, you can fully attract them. So, the book goes through that in a very practical, step-by-step way. Third myth: is that most people think that interviews are the best way to get to know a candidate. Unfortunately, we all suffer from biases. We usually make up our mind on someone in the first 30 to 60 seconds. Then, we spend the rest of the interview trying to find data that confirms our original hypothesis because as humans, we’re not comfortable being wrong. And so, if you can believe it, the average success rate of new hires in all companies is 50%. Which is pathetic. It basically means you can skip the whole process and flip a coin and get the same accuracy. And so, the myth is that interviews are the best way to assess a candidate. The far better way to assess a candidate is through what I call “a test drive”. And this occurs after the interviews, as you get to a couple of the finalists, maybe two or three. And you actually have them do a simulation of the work that you want them to do. So, for the software developer – write us this piece of code. For the head of marketing – tear apart our website and tell us what we could improve. That’s actually a far better assessment of how someone thinks than an interview. That’s a big myth, but 90% of companies don’t do a test drive. And it’s by far the single best predictor of success. 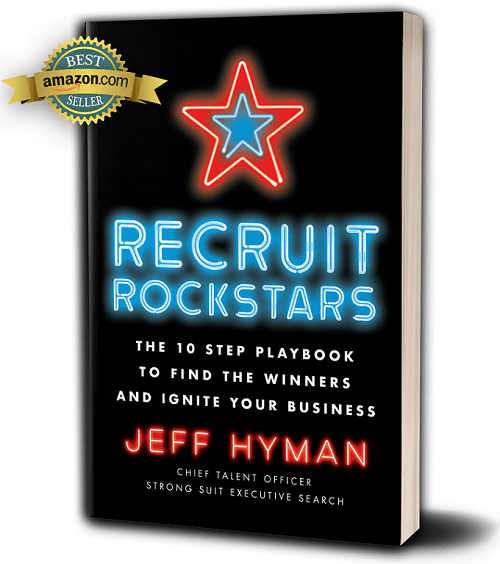 Influence Digest: What inspired you to write Recruit Rockstars? Prof. Jeff Hyman: I do believe we all have a book in us. It started off as a small project – a how-to guide for one of my clients. I found they would benefit from showing them “here’s the right questions to ask in the interview and why”, “here’s how to conduct a reference check properly”, and “here’s how to sell a talented person on why they should join your company”. So, it started from that and I started to realize that other people would benefit from it too, even those that aren’t my own clients. I met a few people who had written books and they said, “you should go for it”. It took about six months. I was fortunate that I teach this course at Kellogg, so I had a lot of content structured in my head, which made it a lot easier to put it into a book form. Influence Digest: Which authors and figures do you look up to? Prof. Jeff Hyman: I think there’s three that come to mind in the business genre. Tom Peters was really an inspirational figure for me growing up. He was very focused on the value of talent, even before companies realized “wow, this is like the final competitive advantage you could possibly have”. Now that technology and marketing are easy to copy, it really comes down to building the best team. I think he realized that 20-30 years ago. I remember reading his stuff as a kid. He was very rebellious and counter-intuitive, for example – in promoting why half of your company should consist of women. Secondly, I look up to Seth Godin. I think he’s brilliant in the need to position yourself uniquely and simplify your message in trying to convey what it is you do. Another favorite is Jim Collins. I really appreciated the approach in his big books because they are data-driven. To succeed as a company, he found, as you probably know, that most overnight companies have been actually 10 years in the making. Everyone thinks that Google or Facebook is the typical success story, when it’s really not in most cases. What’s really typical is a company that’s been at it for a long, long-time…building and building and building. Then one day, they really achieve what he calls “breakthrough”. Influence Digest: Aside from your book, which book would you recommend to entrepreneurs around the world? A mentor of mine and an investor in my first startup. He’s one of those rare venture capitalists at the Foundry Group who was also an entrepreneur. He really has a unique perspective and takes a very long-term approach for building companies. He’s got a whole series of books on entrepreneurship, with Venture Deals probably being his most well-known one. Influence Digest: What is the one message as a professor you wish you could instill in your student’s minds? Prof. Jeff Hyman: I teach MBA students who are on average 28 years old. Many of them think that best product or marketing wins. I believe the best team wins. You can launch a great app and then two weeks later there are five apps just like it. You can launch a great marketing campaign and the next week, it gets ripped off. Influence Digest: What advice can you give to the newly starting entrepreneur? Prof. Jeff Hyman: I’ve started four companies and I think entrepreneurs are, by definition, optimists. You almost have to be because there’s a 99.9 percent chance that your company will fail, but you start one anyway. That’s kind of suicidal odds. Unfortunately, because they are optimistic, they try to go after too big a market and customer – trying to raise too much. Everything is big, big, big. When you nail one thing and do it better than anybody else, it opens doors. Customers come to you. Investors come to you. I think a lot of entrepreneurs, including my younger self, make the mistake of wanting to be all things to all people. I think the more you can niche yourself to a tiny segment and dominate it, the world becomes your oyster. You get to profitability faster. You have some pricing power. And then all of a sudden, doors keep opening. If you’re not prepared for that long slog, then you’re not in the right business. You should not be starting your own company. You should maybe join a company that’s already on its way. If you’re not prepared for those first hard 5 or 7 or 10 years, then you’re crazy to join a startup. Influence Digest: True or False? Hard work leads to success. but luck and timing play a huge part. If you’re a little too early, you’re screwed. If you’re a little too late, you’re screwed. Luck plays a role in everything. I’ve met plenty of people who work hard, but on the wrong things. Pick the right priorities and outsource everything that’s not core, so you can focus on what you want to become world-class at. When Amazon started, Jeff Bezos didn’t say “well I’m going to handle the shipping of the books”. He worked with UPS. He outsourced shipping for the first 20 years. Work hard on the right things. Hopefully, with the right timing and a little bit of luck, you might have a shot if you hire the right people. Influence Digest: Anything else you’d like to add? 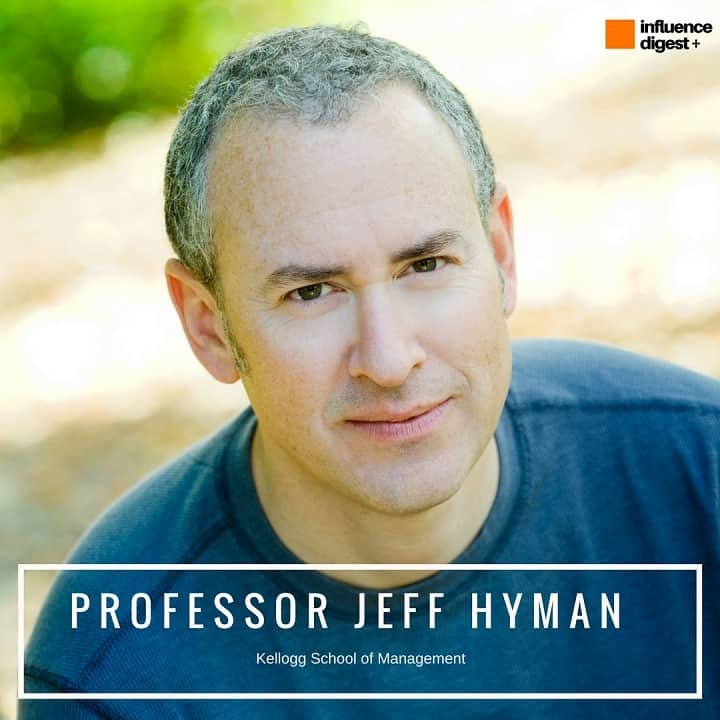 Prof. Jeff Hyman: Spending time thinking early in your company’s life cycle about your company’s DNA (which I talk about a lot in my book) is the single best predictor of people’s success at your company. It’s the essence of the culture. 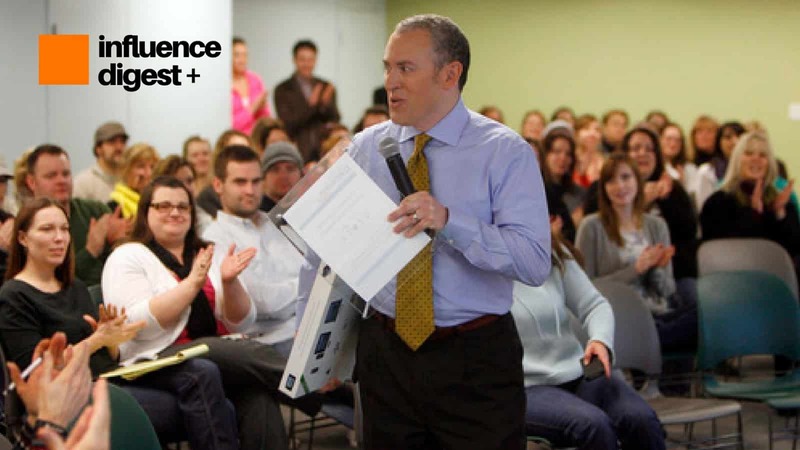 By culture, I’m talking about the DNA – how people at your company are inherently wired. Different companies need a different DNA. If you’re developing an ad agency versus a financial forensics firm, you need a totally different type of person in every position. You really need to spend time thinking about that and recruiting the right people. I think a lot of entrepreneurs spend so much early on selling and raising money. They don’t spend enough time thinking about the people they need to get involved in the venture at all levels. If you let too much time go before you do that, you have a real mishmash of people at your company. It’s very hard to clean up a culture that’s kind of already gone off the rails. Uber’s a great example. They’re trying to save the company now because the culture just came off the rails. That’s one of the biggest success stories in history and the new CEO is trying to make sure it doesn’t implode because the culture really got screwed. Entrepreneurs need to ask themselves “what are our core competencies, what do we need to be world-class at versus what can we outsource?” and then “what does that mean about the kind of people I need to recruit?”. Once you define that DNA, be very honest with yourself about exiting people, even if they’re great performers but are cancerous because they don’t share your DNA. It’s a daily practice like anything else, but a lot of entrepreneurs don’t do it. They’re so busy thinking about raising money from venture capitalists, getting big fast, having the sexiest app, but they don’t think about the most important thing – the people that make that all possible.